A recent survey conducted by Cintell*, entitled 2016 Benchmark Study On Understanding B2B Buyers, indicates that high performing organizations utilized qualitative research for their buyer personas. The study focused entirely on the use of buyer personas for understanding B2B buyers. Findings also found that 70% of companies who missed their revenue goals did not conduct qualitative research for their personas. 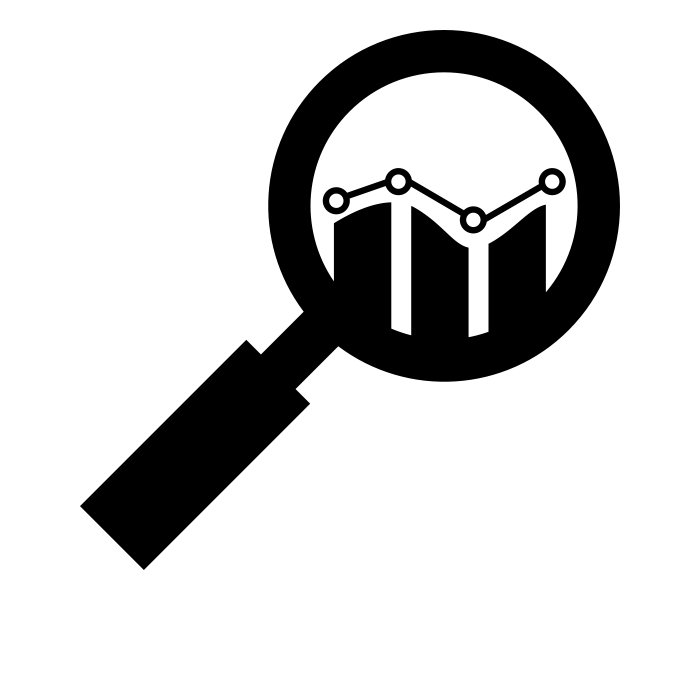 While 82% of those who exceeded their revenue goals conducted qualitative research. These facts from the 137 respondents, from a variety of roles primarily in marketing, shows a strong correlation between the use of qualitative research and the effectiveness of buyer personas. Another result of the survey I particular welcome seeing is of those who exceeded their goals, nearly 94% researched drivers and motivators. As many of my readers know, I have been harping on the difference between buyer profiling data versus truly understanding the goals and goal-directed behaviors of buyers. While drivers and motivators are not at the in-depth level of goals and goal-directed behaviors, it is a big step in the right direction. 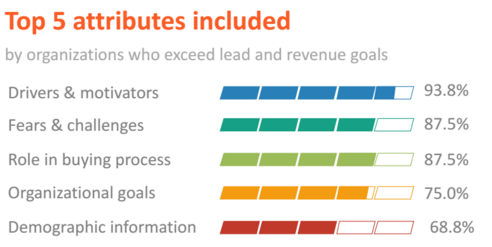 Another highlight for companies exceeding revenue goals is those who also focused on buyer fears and challenges in addition to drivers and motivators. This indicates a shift away from the often incorrect view of buyer personas focused on rational data such as buying criteria to a focus on the qualitative behavioral influences related to buyer decisions. This is a welcome shift. For far too long, much of what has been written about buyer personas has incorrectly portrayed buyer profiling, which is the gathering of rational data, as buyer personas. I believe this shift will continue. There are still miles to go for companies and marketers to get to the deeper layers of goals and goal-directed behaviors, of which drivers and motivators are only a subset of. 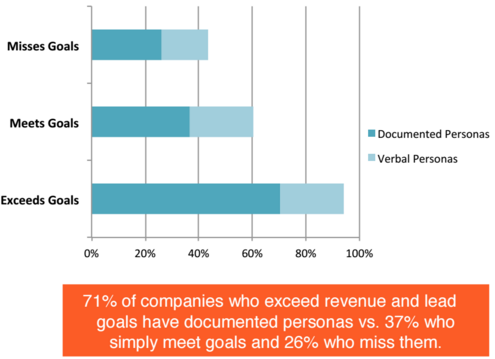 Approximately 71% of the companies who indicated they exceeded revenue goals had documented personas versus 26% who missed revenue goals. And, nearly 65% of those exceeding goals have updated their buyer personas in the last 6 months. The implication here is buyer personas should not be an art gallery but a dynamic part of marketing, sales, and service operations. We are seeing a rise in the use of cloud-base applications, such as Cintell, and other applications helpful to maintaining buyer personas. What organizations need to be on guard for, however, is turning their efforts into an art collection of persona pictures not bearing any contribution to marketing or sales effectiveness. The survey indicated a top challenge was getting the organization as a whole to value personas. There is a correlation also to the high percentage of respondents indicated they used buyer personas for messaging and demand generation. This is telling in the sense that buyer personas are still being “siloed” in marketing. Buyer personas are even further effective when their purpose is tied to addressing organizational problems with overall customer strategies. 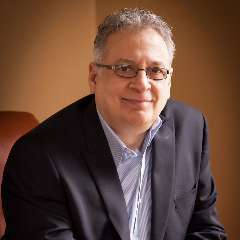 In my work with leading organizations in the last fifteen years, the most successful buyer persona endeavors were those addressing overall customer strategy and not relegated to just finding effective tactics related to messaging and demand generation. The “skew” of these result, however, is not surprising as all respondents were representative of marketing functions such as solutions marketing, communications, and lead generation. All in all, I am pleased to see the results of this survey. There have been others this past year with similar results. But, most insightful about this particular one is the tie between the use of qualitative research, as well as a focus on drivers and motivators, to the effectiveness of buyer personas contributing towards exceeding revenue goals. This step in the right direction must also be augmented by organizations conducting qualitative research with the right principles in mind. Of late, there has been a barrage of articles on how to interview buyers. Some with recommendations, which include a lengthy list of questions. This is certainly anathema to qualitative research. And, with a notable dose of bias towards attempts to find data confirming marketing tactics that are already in place, should stay in place. Like many trends in the business world, I see the potential for the lengthy list of questions with an intent to find confirming tactic data being coined as qualitative research. Which is contrary to the principles of qualitative research and its various methods for researching goals and behaviors. My greatest hope is this does not happen! This is an area companies investing in buyer personas should take care. While there has been perhaps one too many surveys on buyer personas this year, I am asking readers to take my annual State Of Buyer Personas survey. It is helpful in gauging the understanding of buyer persona best practices and experiences. After originating the concept of buyer personas some 14 years ago, I am excited to see the continued progress in terms of effectiveness. Yet, we still have miles to go. Will you help? Your support will be appreciated!